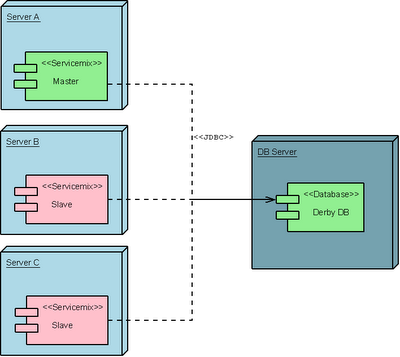 This post is an update to my previous post on setting up SMX4 with high availability in mind. Since the transition to Apache Felix Karaf the support for more database locking table back ends has expanded. Specifically you can now use Apache Derby, MySQL, or a generic JDBC connector. The Derby and Generic JDBC locks make use of the 'FOR UPDATE' feature common to many databases. The MySQL lock however makes use of the ' LOCK TABLES' directive, this is due to the 'FOR UPDATE' command not returning a ResultSet on more recent versions of MySQL (see some discussions on this here). Please note that the MySQL JDBC driver will have to be made available on the classpath. FindBugs is a static analysis tool developed and maintained by the University of Maryland. The tool can find bugs in Java code, and present a listing of issues detected to developers. The project maintains a list of bug patterns they detect when performing an analysis of a code base here. As an experiment to begin learning about FindBugs, I ran the tool against a recent build of Apache Felix Karaf. In figure 1 you can see the listing of issues flagged. 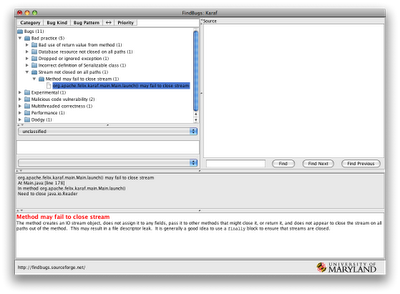 Figure 1: FindBugs analysis screen. Reviewing the flagged issues, not all of them are bugs but suggestions on performance or alternative implementation practice. The remainder of issues are actual problems, luckily many of these can often be remedied in a few minutes. 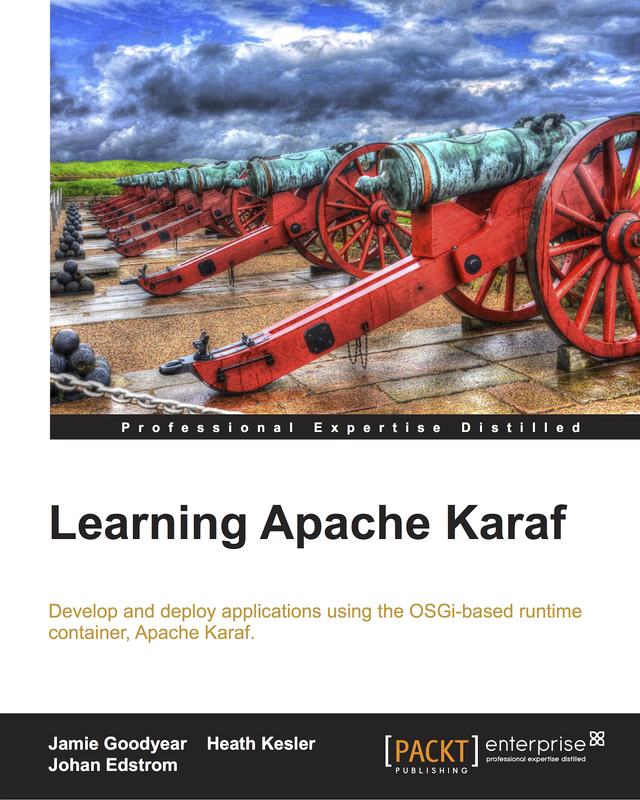 One such issue was a minor file descriptor leak discovered in Karaf's Main class. Resolving the issue only required closing an IO stream after use. After modifying the code, and testing to ensure nothing accidentally broke, I re-ran FindBugs; the issue list was reduced by one :) Having made a small improvement to the code base I took the time to open a minor issue under Felix Karaf issue tracker and submitted a patch. Using tools such as FindBugs is only one part of the process of developing software, many issues will not be caught with out proper unit and system testing, and feed back from users in the field. As a second set of eyes to help catch programming omissions and in maintaining good coding practices I feel that the time spent with FindBugs is well worth the effort. Recently I had to refactor a feature that I had introduced to the old Servicemix Kernel, now Felix Karaf project. The issue was relatively minor to resolve, however testing it would require profiling memory and CPU usage over a period of time (to avoid an eventual out of memory error). There are multiple tools out there that would allow me to do this sort of monitoring, for this particular task I chose to try out VisualVM as it was already bundled with my JDK 1.6 install. VisualVM is a visual tool that integrates several commandline JDK tools and lightweight profiling capabilities for the Java SE platform. To begin my refactoring task I first setup Karaf with the configuration required to reproduce the out of memory condition. No special configuration or instrumentation of Karaf itself was required for using the profiler. Starting Karaf, using JDK 1.6, I was able to attach to the running process via the VisualVM interface. Once connected to the process I could view the live heap usage, threading, permgen, and loaded classes, further I could inspect the parameters fed to the JVM at start up to confirm the environment was as I configured. To view memory and CPU usage of Karaf, I selected the profiler display tab. Adjusting the profiler settings to only monitor org.apache.felix classes, I could quickly identify the offending set of method calls that contained the source of my error (high CPU usage, and multiple instances accumulating in memory). Resolving the error didn't require much work except to ensure a few resources were being properly freed, and removal of an unneeded for-loop. To test out my modifications I redeployed Karaf, and began reviewing its run time characteristics via VisualVM. This time the trouble methods were not being called as often, and not creating memory leaks, while still providing the same functionality the original code was intended to provide. As a simple profiler I can recommend VisualVM as a quick, convenient way to observe your Java applications. It will be interesting to see what features they integrate into the tool in future releases. "The Apache ServiceMix team is pleased to annouce the release of Apache ServiceMix 4.0. In addition, ServiceMix 4.0 also ships with enhanced ActiveMQ, Camel and CXF integration as well as a whole set of examples to let you leverage this functionality. We also have out-of-the-box support for deploying and running web applications, so they can run together with everything else in the same container." Apache ServiceMix NMR 1.0.0 Released! Hi All, Just wanted to echo the ServiceMix NMR 1.0.0 Release announcement. 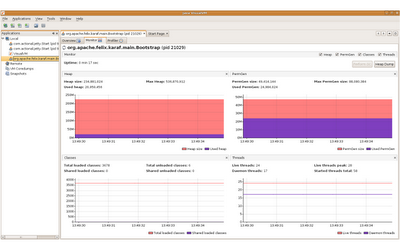 "The Apache ServiceMix team is pleased to announce the release of Apache ServiceMix NMR 1.0.0. Apache ServiceMix NMR 1.0.0 is the first release of our JBI container based on OSGi. This distribution is a minimal JBI container, if you are looking for a more features distribution, we'll welcome you to have a look at Apache ServiceMix 4.0.0 instead, which includes all the JBI components provided by ServiceMix." Once you've downloaded the new NMR kit be sure to check out the new examples. Expect to read more about them in a future post. 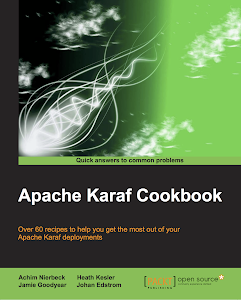 Apache ServiceMix Kernel 1.1.0 Released! The Apache ServiceMix Team is pleased to announce the release of Apache ServiceMix Kernel 1.1.0. Remote connection using SSH protocol. Provisioning enhancements: versioning / hot deployment of features. New commands, including OSGi related commands for the Configuration Admin and Package Admin services. Improved spring integration: upgrade to spring 2.5.6 and spring-dm 1.2.0-m2, the osgi/list command now displays spring applications status. Container level locking for master / slave deployments. Support for JAXP 1.4 on all platforms. 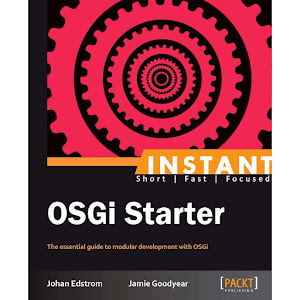 Improved JMX support for managing the OSGi framework and features. Note that the commands syntax has changed due to the upgrade to thelatest gshell version.